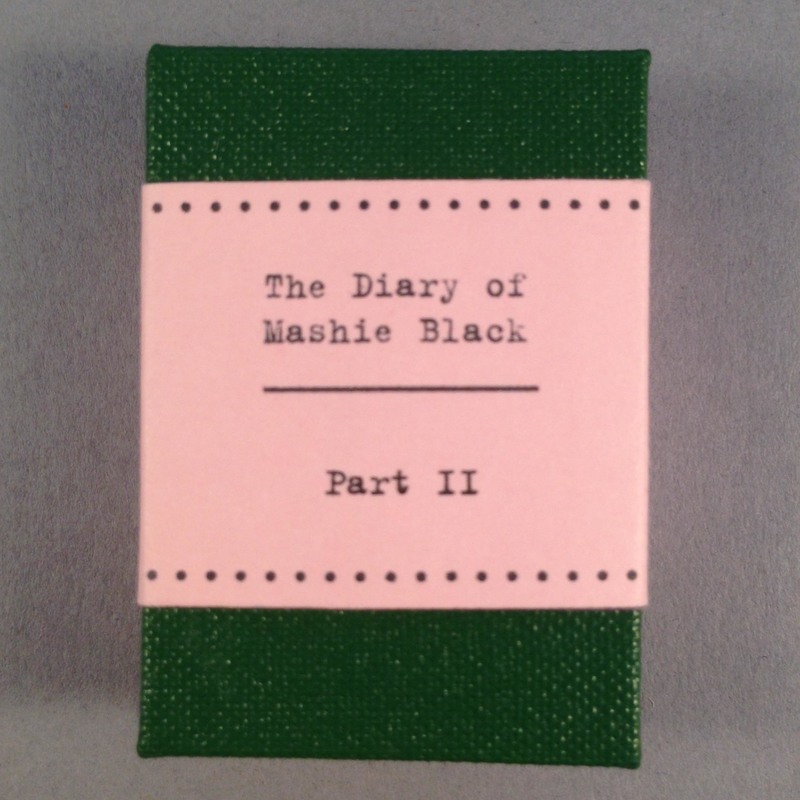 This is first part of a genuine diary originally written in 1935 by an eighteen-year-old girl known as Mashie Black. Her thoughts and observations made during a month long voyage on a ship sailing from Birkenhead to Singapore are eloquently recorded, and her new life in Singapore is beautifully described. 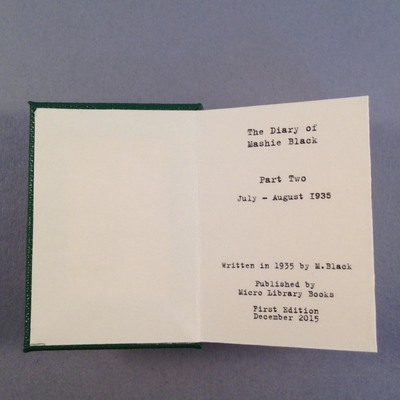 This printed version of the diary covers May and June of 1935. 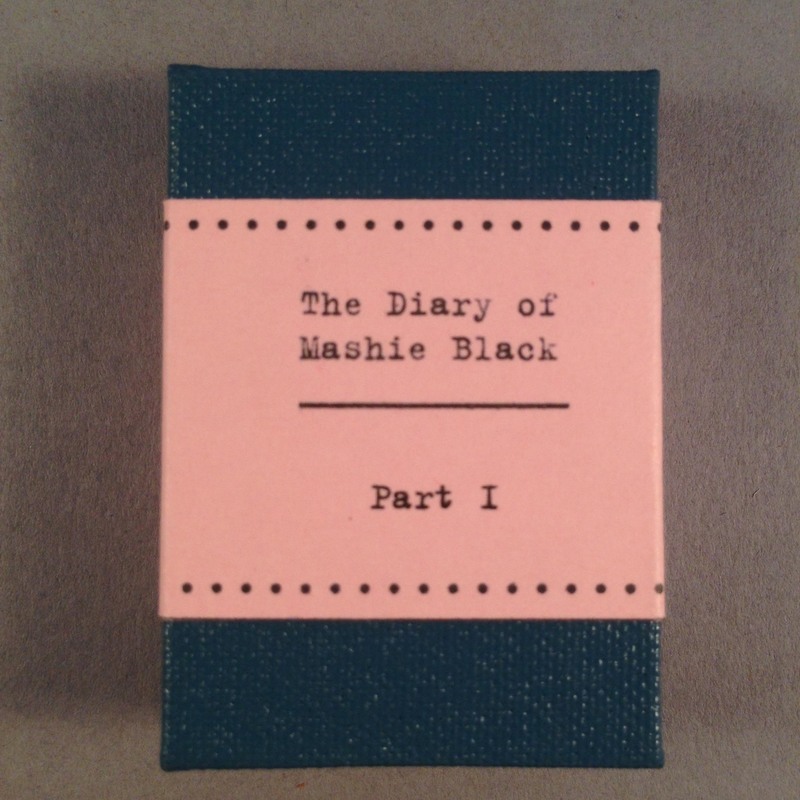 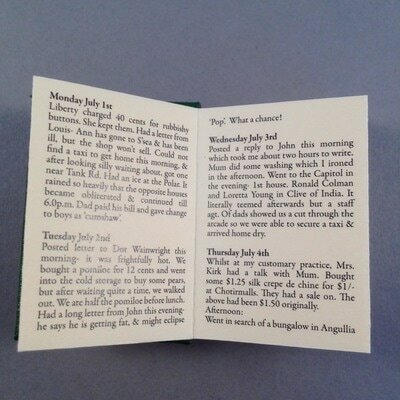 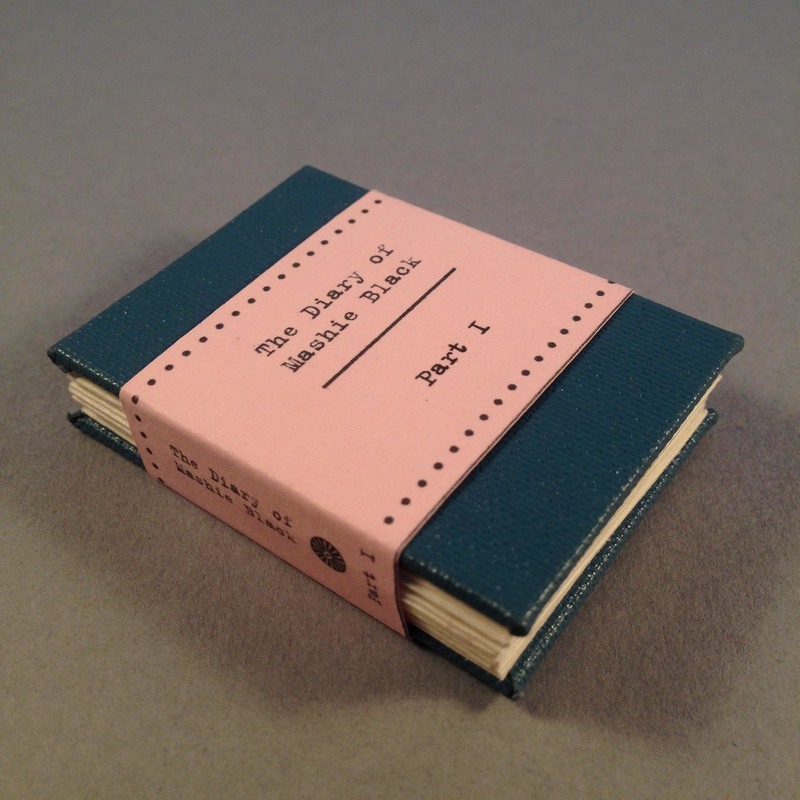 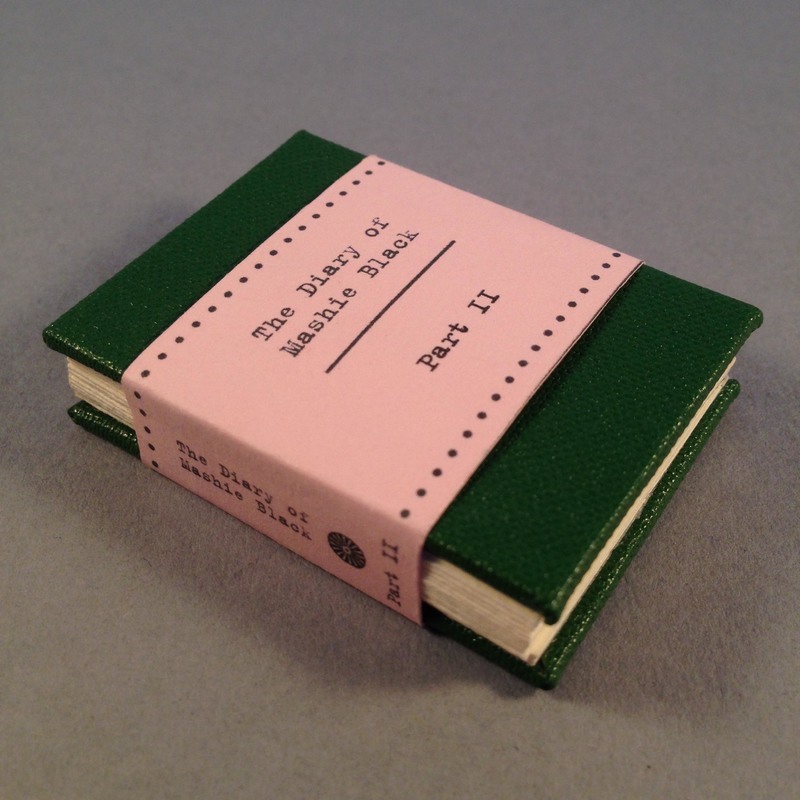 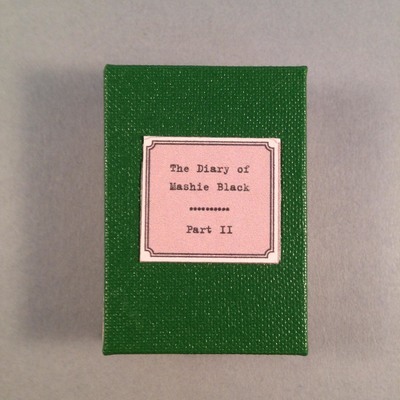 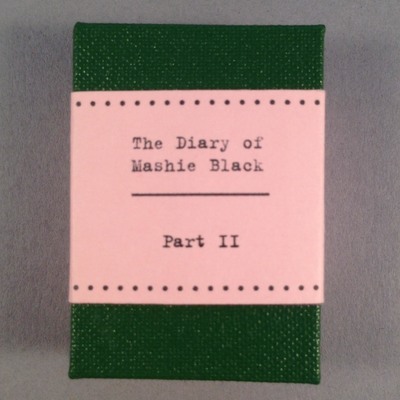 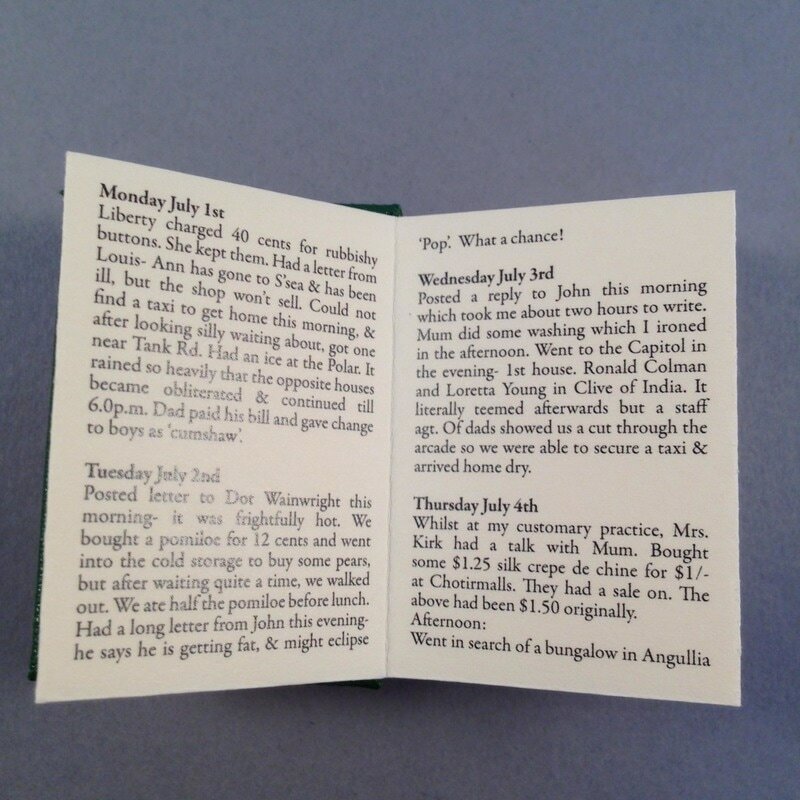 The miniature book is part one of The Diary of Mashie Black and is assembled by hand from printed ivory coloured 160gsm paper folded into concertina-pages and bound in a buckram hardcover, and wrapped in a lilac bellyband.